I am pleased to get the chance to teach a workshop this fall in Valona, CA. Valona is a quaint historical town about 30 minutes outside of San Francisco. The big spacious gallery not only carries great Northern California artists, but also has wonderful views of the Bay. Over 3 days students will be learning the speed studies approach to painting. I believe this approach is critical for painters who want to keep improving and producing work. It's not all about speed, but through the process students walk away with a better knowledge of brushwork, color, design elements, and subject matter. 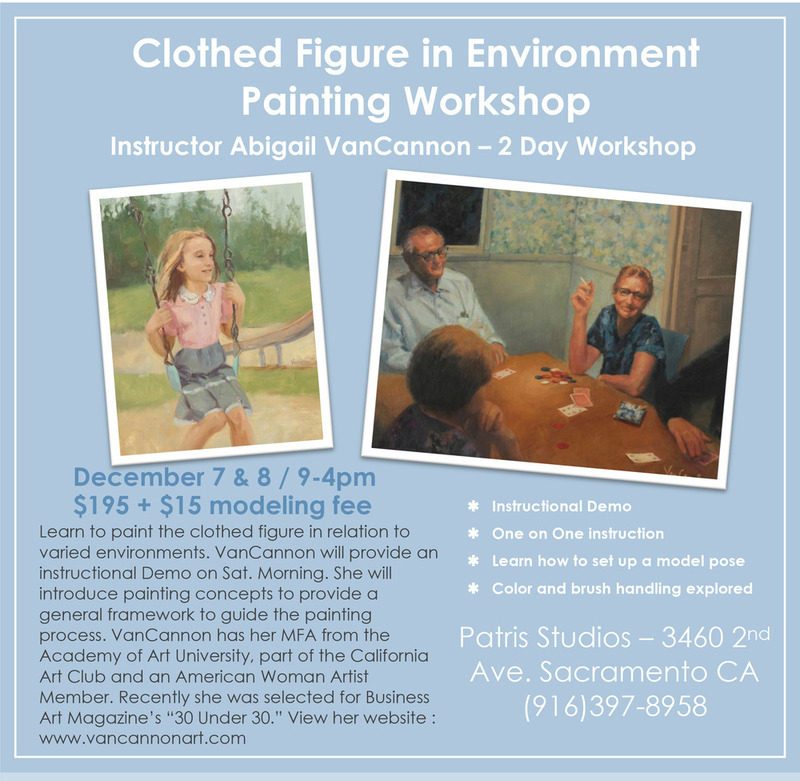 Kicking off the weekend I will conduct an instructional demo that walks through this process and discusses my painting approach, color palette, and tips. Students will be painting between 5-6 studies a day and covering a wide array of topics.